Al Falah University held a brainstorming session last Thursday, 17th September 2017 in the presence of Dr. Noor Aldeen Atatreh, Chancellor and Dr. Sameer Barghouthi, Vice President for Academic Affairs in preparation for the new Academic Year 2017 – 2018. The session’s main goal is for the AFU academic and administrative staffs’ exchange of innovative ideas and development of solutions to the challenges faced in the previous academic year. 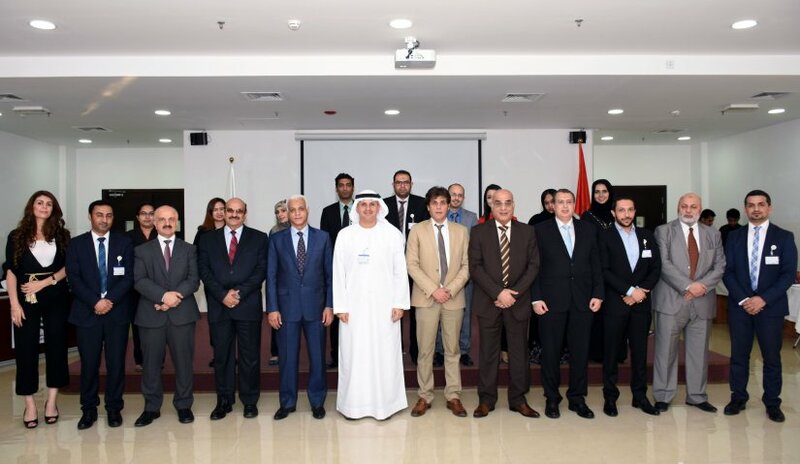 AFU Committees, Colleges, Departments, Units, and Centers reviewed the achievements of the previous Academic Year 2016-2017 and presented proposals to improve the educational process within the university, to develop AFU’s strategic plan and enhance its vision towards leadership in higher education, research and community service. Dr. Atatreh stated that the brainstorming session is an innovative approach to hear the ideas of every member of Al Falah University. “We are pleased with the achievements of the past year and we appreciate the hard work of all academic and administrative staff of Al Falah University. We hope that everyone will continue to work with vigor and we look forward to more achievements and success in the coming academic year.” Dr. Atatreh said during his opening remarks. Al Falah University aims to promote intellectual and research advancement, to develop the educational process through workshops, conferences, and brainstorming sessions and to provide a high-quality educational environment for students.